Video Arcade Game Machines, including upright, sit-down, and deluxe cabinets, cocktail models, tabletop models and more. If you have a specific Video Game in mind but cannot see it on our list, please send us an inquiry and we will try and find it for you. 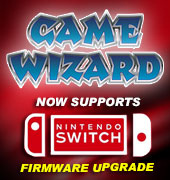 The Game Wizard Xtreme is the most advanced arcade machine in the market – it’s the same cabinet we sell to leading arcade centres in Australia and across the world, however the Xtreme version takes it to the next level of gaming allowing you to experience a million gaming options. Daytona 2 USA twin driving arcade machine is available as a project machine only. Use for parts, upgrade to your own arcade driving game, or rebuild to the original Sega game specifications. Arcooda's Game Wizard for Android is much more than a two-player arcade machine. It is a hub of endless enterainment. Gaming, social media, music and video streaming - the Game Wizard for Android is an arcade machine that doubles as a video jukebox amongst other things. Arcooda's Game Wizard for Android is much more than a two-player arcade machine. It is a hub of endless enterainment. Gaming, social media, music and video streaming - the Game Wizard for Android is an arcade machine that doubles as a video jukebox amongst other things. This is our demo model we have been showing at various trade events. The Touch Wizard is a desktop arcade machine created by Arcooda. Built with an Android operating system, Touch Wizard users can connect to the Google Play store and download a wide variety of games and apps to use on the one-player multi-media machine. This is the joystick model. Please Note, Photos are for reference purposes only. This Model comes with Purple buttons and joystick. Who Wants To Be A Millionaire Arcade Game is based on the english model of the international hit game show of the same name. The offer is for the cabinet only.